Proposed changes to Romania’s Mining Law to be voted soon by the Romanian Parliament would threaten not only sustainability of the region, but would also allow private interests to overtake state interest, according to WWF. Bucharest, Romania: Proposed changes to Romania’s Mining Law to be voted soon by the Romanian Parliament would threaten not only sustainability of the region, but would also allow private interests to overtake state interest, according to WWF. Under the new provisions, private investors who obtain a license for exploitation would also gain the right to expropriate the concerned properties in the name of the Romanian state. According to the current Romanian legislation, the holder of a licence does not have this right, only the Romanian state can expropriate property. The proposed provision would clear the way for abuse by private companies which happen to hold operating licences in Romania. “If this is adopted, it would meant that private interests would overtake vital functions of the state and private companies would be able to expropriate people against their will”, said Magor Csibi, Programme Manager of the WWF Danube-Carpathian Programme in Romania. 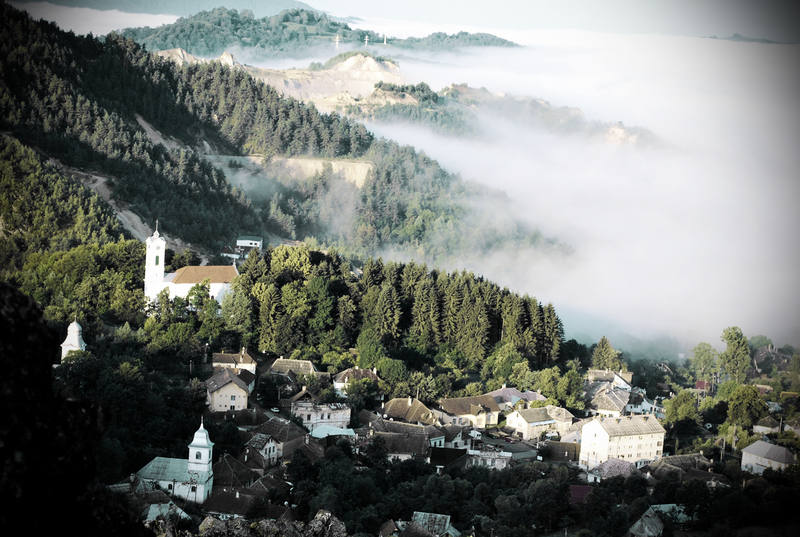 Canadian firm Rosia Montana Gold Corporation plans to operate an open-cast gold mine using cyanide at the historic gold mining site of Rosia Montana. However, many environmentalists, historians, architects and civic activists are concerned not only about the impact of the mine on the environment but also whether it could damage ancient mining galleries in the area that date back to Roman times. The proposed amendment of the Mining Law would also grant mining projects a special status, which would allow for the destruction of classified historical monuments without the approval of the Ministry of Culture. “While most of the democratic world is heading rapidly towards radical transparency where citizens are informed not only about the benefits of resource exploitation, but also about its price, this law would push us back a couple of hundreds of years to an age when laws were set by private economic interests”, Csibi said. 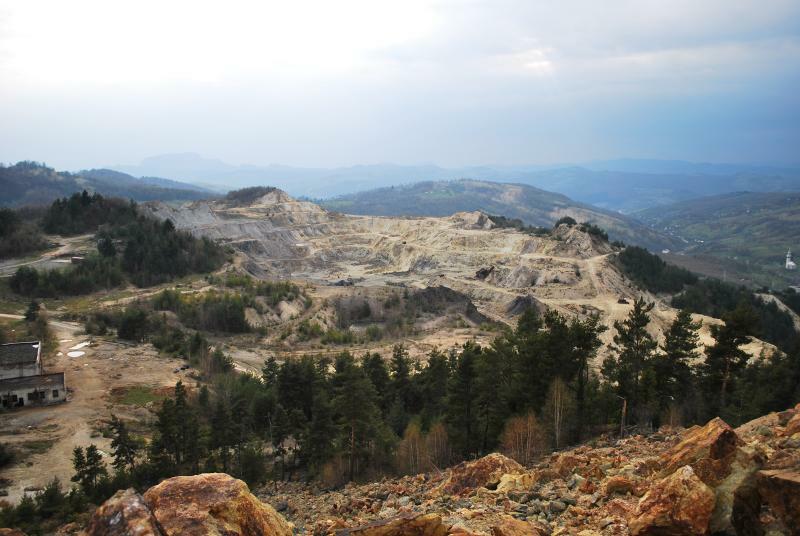 There has been a strong local opposition to the Rosia Montana gold mining project ever since the plan of Canadian mining company Gabriel Resources was announced in 2000. The historic village of Rosia Montana would be destroyed by building the largest open-cast gold mine in Europe. At full production the mine would dig 500,000 tons of rock per week, emit 134 kg of cyanide into the air per day and use 13-15 million kg of cyanide per year during the16-year mine life. Resistance to the project has since spread across Romania and Europe. By visiting www.rosiamontana.net people can sign a petition which asks Romanian MPs to vote against the proposed legislation and to publicly express their opposition to the project. 16,000 people have signed the petition to date. Ancient mining galleries in the historic town of Rosia Montana date back to Roman times. 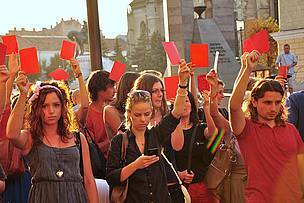 Resistance to the gold-mining project has spread across Romania and Europe. At full production the mine would dig 500,000 tons of rock per week, emit 134 kg of cyanide into the air per day and use 13-15 million kg of cyanide per year during the16-year mine life.